Can you feel it? The birds are chirping, the sun is shining, and the people are smiling! Ahh … Spring is in the air. And it has made its way into our little cottage. 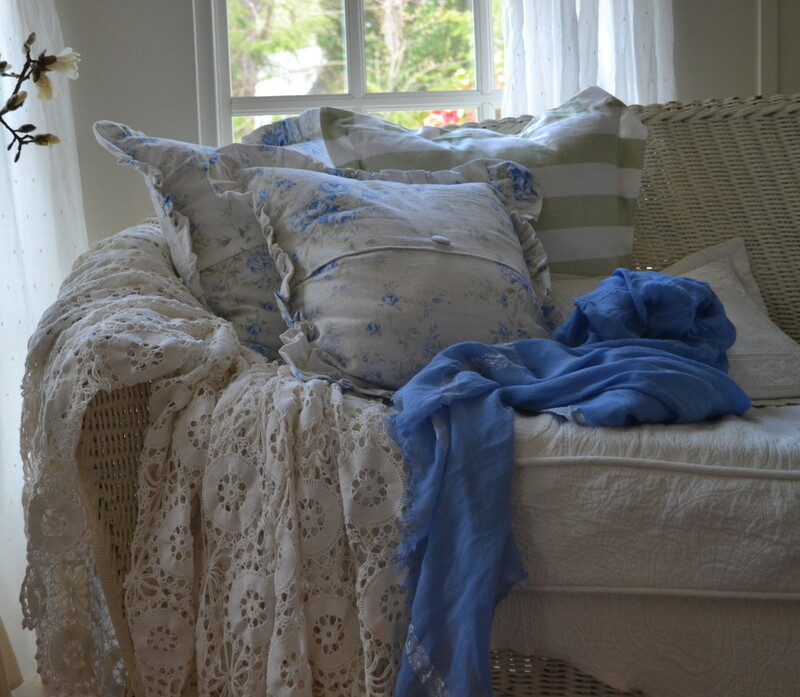 Nothing says Spring like white wicker and a pile of Shabby Chic pillows on the sun porch. You’ll find me curled up with a magazine or two later today! 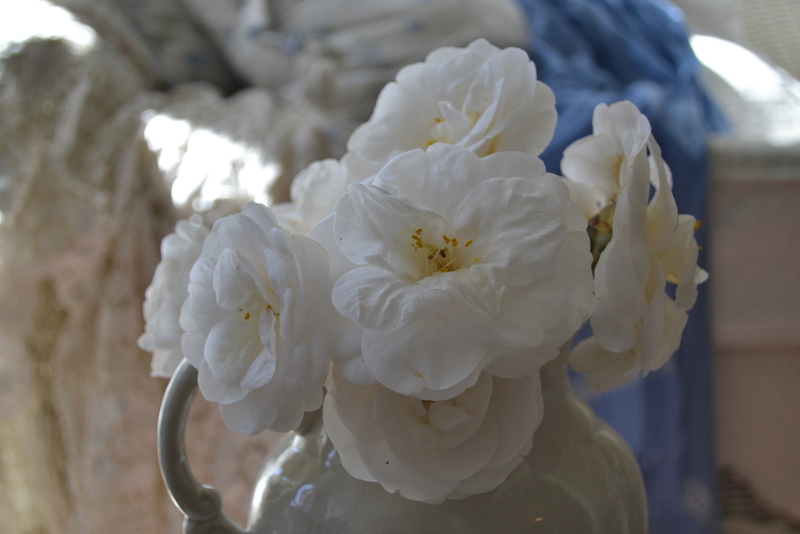 I can’t seem to get enough of these white camellias snipped from the garden! They look like delicate white ruffles. And what have we here? 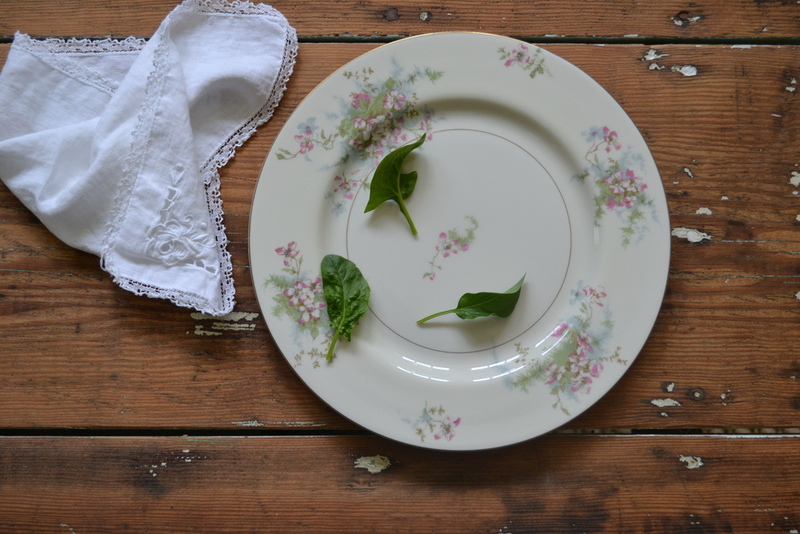 Are those spinach leaves? Why yes I think so! My family has its fair share of seasoned, at-home gardeners, but somehow the green thumb gene skipped right over me. I keep planting though, every year. 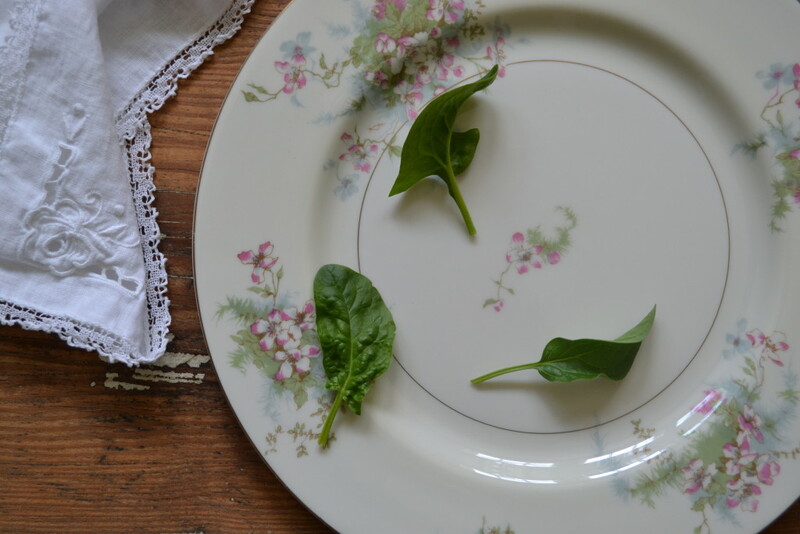 I planted this spinach in the fall, ignored it real good, and then surprise… Spring spinach. I will be attempting tomatoes for the umpteenth time soon, and as always I will somehow manage to muster up much enthusiasm. Even though, I have never grown an edible tomato — ever. Fingers crossed! My Aunt gave me enough of this beautiful china to completely fill my china hutch. It’s such a pretty pattern I couldn’t have chosen better myself. Appropriately named Apple Blossom, by Theodore Haviland. 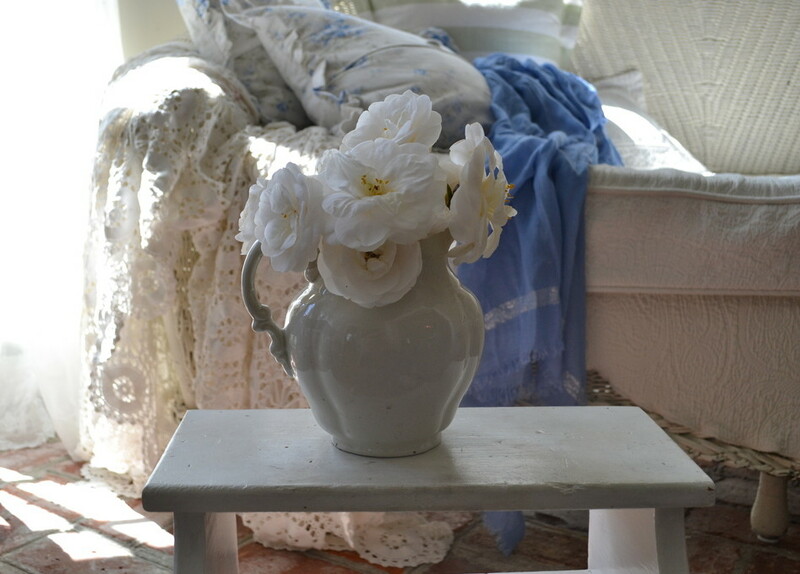 This entry was posted in cottage decor, in the garden and tagged cottage, flowers, garden, pillows, spring on April 2, 2014 by sally.